Many of us have a soft heart for our elders, and lovingly visit them as often as we can. 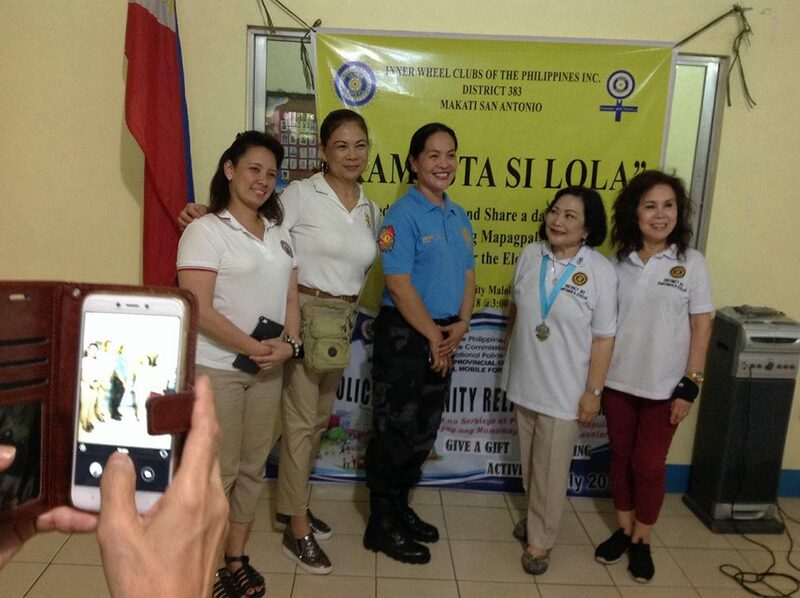 But for the men and women residents of Tahanang Mapagpala, many years have passed since they have actually seen any familiar faces from their past. You see, all the residents were either deliberately abandoned by their families, or found roaming aimlessly on the streets and brought over to the home for safety and care at the shelter institution along the narrow Malanggam St., Brgy. Bulihan in Malolos City, Bulacan. The home for the elderly is unique in a way because it exclusively provides a home and care for some 40-50 elderly women who cannot claim communication nor visits from family. They have either been lost or abandoned entirely by their families. 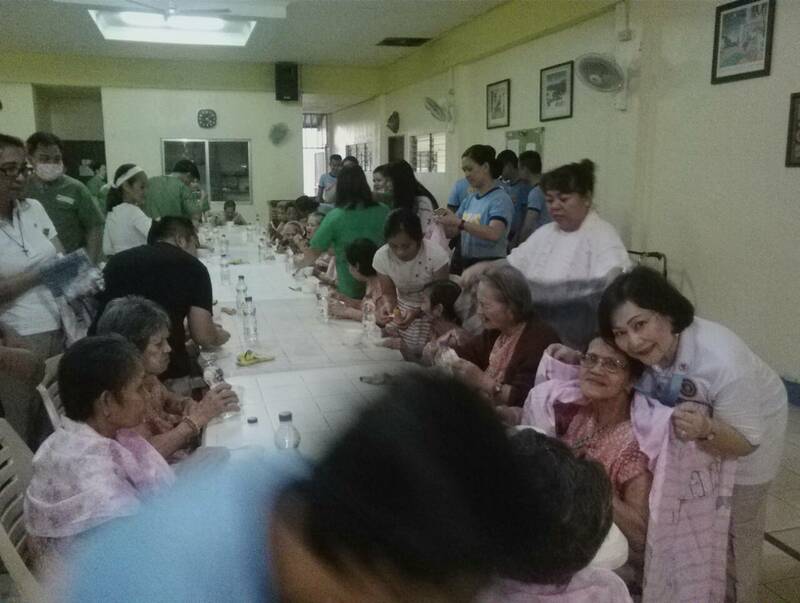 Inner Wheel Club of Makati San Antonio organized its first project for the year with a visit to the home for the elderly Tahanang Mapagpala in Bulacan, to bring joy and love, even for a short while, to some 35 mobile elderly women. Another 15 or so women were practically bed-ridden with old age weakness or debilitating illness. IWCMSA, led by President Shayma Shwandang and District 383 Chairman Minnie Elizaga, and accompanied by officers and members of the 7 other clubs of the district (IWC Makati, IWC Makati North, IWC Muntinlupa Filinvest, IWC Paranaque, IWC San Nicolas Makati, IWC Alabang New Generation, IWC Las Pinas & Environs), made sure all the elderly women received individual hygiene kits, shawls, and other gifts. 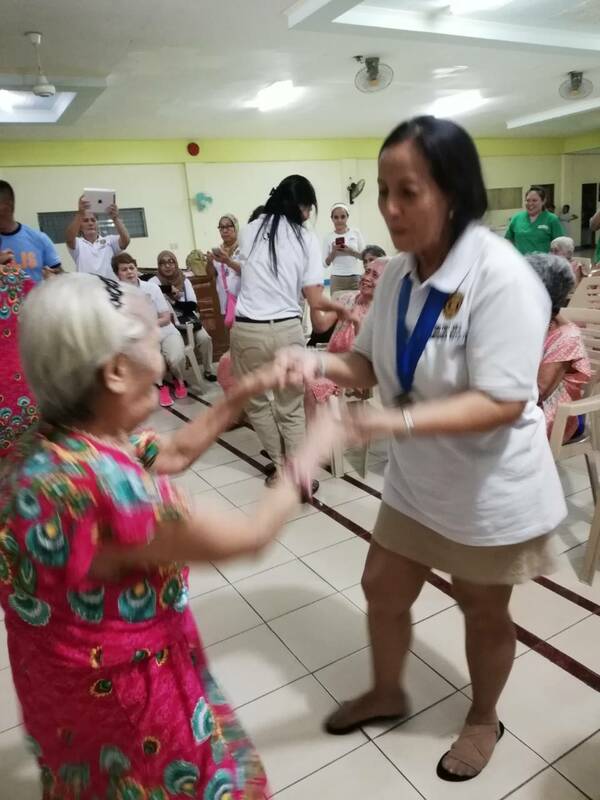 They played some music and danced with the lolas who had the stamina and enthusiasm to “move their bootie” as they did in decades past. Everyone was smiling and laughing, including those who moved along to the music in their wheelchairs. We definitely remembered our own elders. We soon slowed down and helped them with their snacks, and we chatted more with each lolas, answering their questions about what we do and if we have children. Some remembered their own families with some tears, realizing they will not be seeing any of them soon. A talk with one of the staff revealed a vignette about an 90-year old lady, or so she looked, who was found by a loving soul on the Oroquieta St. in Manila, and was brought to a homeless shelter along the next street. The shelter staff, trained mainly to provided food and shelter, soon realized that they could not handle the needs of their new elderly ward, who seemed to be delusional and was prone to some violent actions. 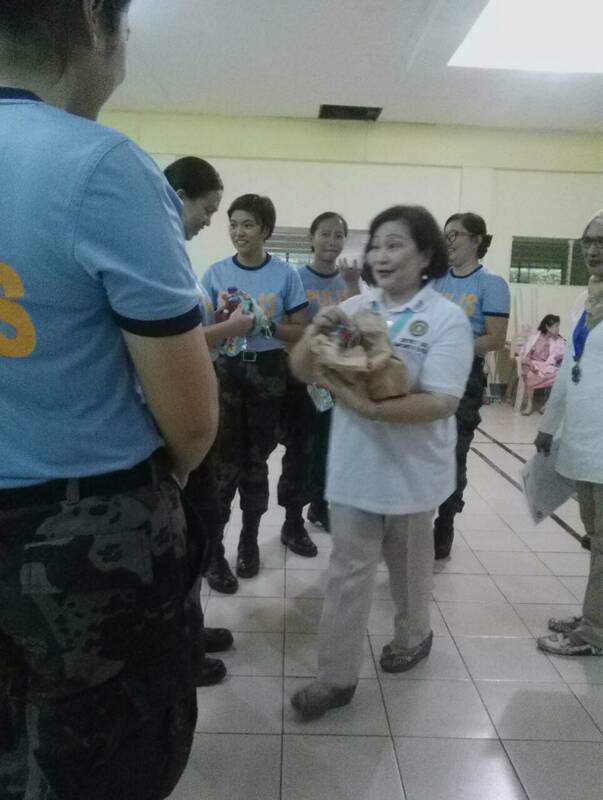 They encouraged a shelter regular volunteer to bring the old lady to the Tahanang Mapagpala where they hope she could be better attended to. Soon the old lady was gaining her health and strength back. With the help of volunteer psychologists, the shelter found that she was 82 years old. The old lady could even remember her birthday and then name of her siblings. She had apparently be lost and could not find her way back home. Two Christmases later, a young lady recognized her aunt on TV, singing Christmas carols heartily, in an elderly home in Bulacan. Accompanied by her mother and her aunt, they located and visited the home, to verify if the singing lady was her long-lost aunt. They distributed gifts among the women in the wared, and waited for the old lady to recognize them instead of introducing themselves. They were disappointed but confirmed that the lady was her father’s sister. She had not come home for 3 years, thinking the aunt had decided to live with a friend, yet knowing that friends would not house her too long because of her obvious mental condition. The family offered to bring regular food and supplies for her aunt, but the institution staff explained that any donations would be for all the wards, not for anyone in particular; the facility was only for abandoned elderly women. The family had to make a choice right there and then: take the aunt home with them, or leave her in the facility as if she had no longer any family. For their own reasons, the visitors decided on the latter. The staff did not judge them.